Banks Long & Co Surveyor Harriet Hatcher, Adrian Trevelyan (in the chair) and barber Phil Walters. 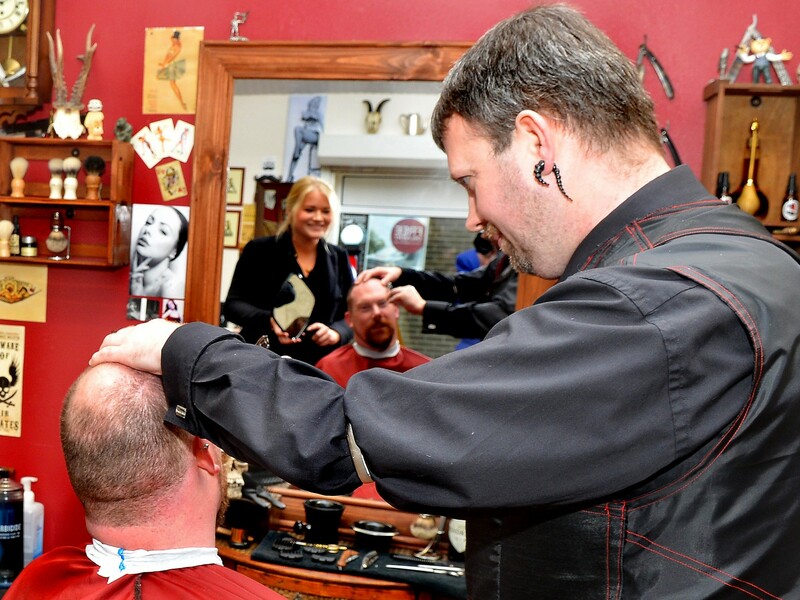 There is a new look for The Demon Barber of Lincoln, who relocated sooner than expected when The Mall shopping centre was earmarked for redevelopment. Phil Walters has made a slick expansion move after the centre on upper High Street was sold at auction late last year. An artists’ impression of what the frontage of The Mall – in Lincoln’s Upper High Street – might look like after redevelopment. Now he is attracting more passing trade, is open longer hours and is taking on a new apprentice at his new property at 333 High Street. Phil was planning on moving in about a year, but due to the unforeseen events, his plans were brought forward. Banks Long & Co Surveyor, Harriet Hatcher helped The Demon Barber to find the new premises – a former gift unit at Whitefriars Business Park next to Tentercroft Street Car Park. As part of the negotiation process the former gift shop, which used to be based in two units, has been amalgamated into one next door and Phil has ended-up being the proud tenant of a barber’s shop four times the size of the one he had previously. Phil said: “I have only just re-opened, but I’ve been getting some good comments from customers.